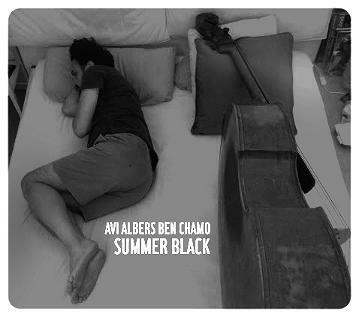 Avi Albers Ben Chamo (June 24, 1973) is an Israeli born who co-founded Jazzy Berlin community site in 2010. Many of the biggest names in the local jazz scene took part at his New Jazzy jam session experience at the KaterHolzig at the year 2011-13 (now located at the Jazzy Berlin house). Avi (Albers) Ben Chamo, born in Caspi 9 st. on "Bat Galim" in Haifa, Israel. To a Jewish North African parents from Morocco. In 1999 Avi moved to Palma de Mallorca, there he learned contrabass. At 1997 with the drummer Yaron Engler Avi founded ''The Stone Cold Gentlemen''. In the band first session at that year, the band recorded three songs, ''Springtime'', ''Blue Train'' and ''Dusty day''. By the time Avi was in the Navy, he asked his base commander the permission to bring his Jazz band to the Israeli independent day army festival. There, with a battle warship behind the band, he gave the last performance with the Stone.C.G. Today, Avi is keeping his bass and composing studies in Berlin.